For the third year, a key component of our annual Screenwriters Lab is the Master Class with an award-winning screenwriter. 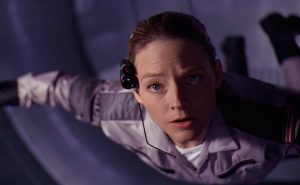 This year, HIFF is pleased to welcome James V. Hart, screenwriter of Robert Zemeckis’s CONTACT. James V. Hart (J.V.) was born in Shreveport, Louisiana, and grew up in Ft. Worth, Texas, on drive-in movies and Saturday matinees. His writing/producing credits include CONTACT, directed by Robert Zemeckis; HOOK, directed by Steven Spielberg and based on an idea by Hart’s then 6-year-old son Jake; BRAM STOKER’S DRACULA, directed by Francis Ford Coppola; MUPPET TREASURE ISLAND, directed by Brian Henson; and many more (see below). Hart will use his HartChart, a proven story mapping tool for writers working in television, film, novels, plays, and other literary forms, to take participants through all the stages of the creative process. He will use clips and personal experience to detail all that goes into writing a script for every type of audience. This is a special opportunity to hear from one of the most talented and versatile writers in the industry. Join us Saturday, April 7, at 6:00pm at the Ross School in East Hampton. Seats are limited, and tickets are on sale now! Students and educators are welcome as our guests. Please show your school ID for free admission at the door! Note: Once you purchase tickets, your name will be on a list at the door. No physical ticket is required. 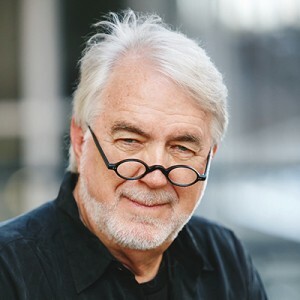 More about James V. Hart: Other writing/producing credits include MARY SHELLEY’S FRANKENSTEIN, TUCK EVERLASTING, JACK AND THE BEANSTALK: THE REAL STORY, SAHARA, LARA CROFT: TOMBRAIDER – THE CRADLE OF LIFE, AUGUST RUSH, EPIC, and the TV series Crossbones. Hart has served on the faculty of the Columbia University Graduate Film program, and served as mentor and advisor at the Austin Writer’s Ranch, Sundance Film Labs, and the eQuinoxe-Europe Writing Workshops for over 20 years in 11 countries. Hart has also conducted the Puglia Experience for writers and producers, held in the Puglia region in Italy. Hart is a co-founder of the Peter Pan Children’s Fund, a non-profit that fosters youth philanthropy supporting Children’s Hospitals, has served on the Meadows School of the Arts board at SMU, is a founding member of the Writer’s Guild Initiative board, and founded Lionfish University, a non-profit dedicated to reef preservation and conservation. His renowned story mapping tool app, The Hart Chart, was launched online at the 2015 Austin Film Festival.